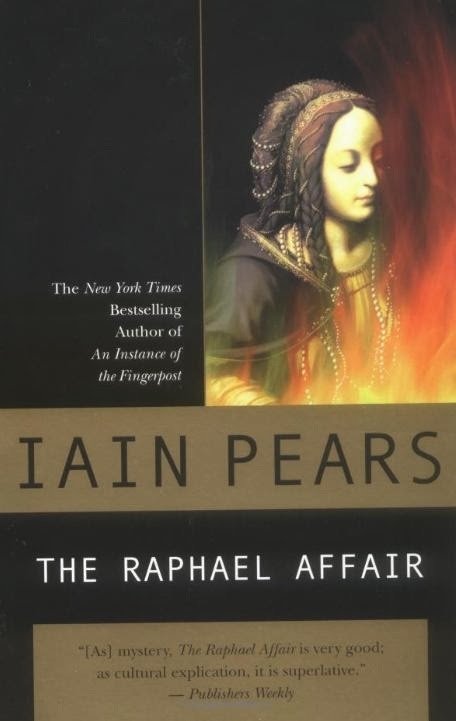 Iain Pears writes a series, of which The Raphael Affair is the first book, that features art historian Jonathan Argyll and the woman who becomes his wife during the run of the series, Flavia di Stefano, a member of an Italian police squad that aims to prevent the theft of art from Italy's famous museums, private collections, and churches. Flavia's boss, Bottando, is also a recurring character and a father figure for Flavia. Thrills and excitement enter this first novel when a British art dealer discovers a Raphael portrait. After an astounding auction, the painting finds its way to a national museum in Rome, where its acquisition solidifies the director's reputation. Taddeo Bottando and his favorite assistant Flavia, both of the national art theft squad, become suspicious when a vagrant art student's story of fraud and the jottings of a famous forger come to their attention. Clever research, museum politics, and foreign setting add to the story's interest, especially for those who enjoy art and art history. This is one of my favorite series. It is usually referred to as the "Art History Mystery Series". The point of view alters throughout the books' chapters, between the three recurring characters, to entertaining effect. Mr. Pears uses a light touch, plenty of humor, and he appears to savor his unorthodox protagonist. The main protagonist, Jonathan Argyll, is gangly, awkward, obtuse and often lazy. He has the uncanny ability to be in the wrong place at the right time, however, and he is very good at stumbling along to a clever conclusion of the mystery. The Raphael Affair: In the first book in the series, we are introduced to Jonathan Argyll, an enthusiastic young art scholar from England who has followed his suspicions about a long-lost Raphael painting to a small church in Rome. Not only is the painting in question gone from the site, it has been swiftly purchased, restored, auctioned, and installed in Rome's National Museum. But when the recovered Raphael is just as swiftly destroyed in a fire, Argyll begins to suspect its authenticity…and the innocence of every person in its path. The Titian Committee: When a murderer strikes down an American member of the prestigious Titian Committee in Venice, General Taddeo Bottando of Rome's art-theft squad dispatches special assistant Flavia to gather information. What begins as a simple political mission becomes a dangerous quest for a missing portrait attributed to Titian. She enlists the aid of art dealer Jonathan Argyll, who has become her friend, despite her signals that she would welcome something more. The Bernini Bust: British art historian Jonathan Argyll is in sunny Los Angeles conducting some profitable business with the Moresby Museum, the sale of the Titian from the previous book. 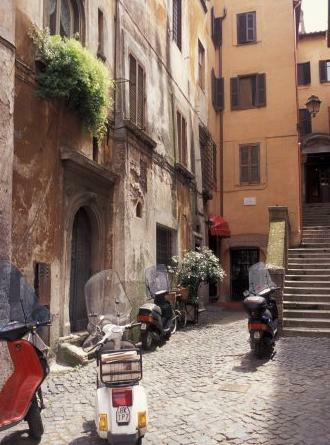 The museum's owner is murdered , a Bernini bust disappears, and a friend of Jonathan's is suspected of the crimes. While awaiting the arrival of his friends from the Italian National Art Theft Squad, Jonathan finds himself targeted by the killer. More romantically crossed signals between Flavia and hapless Jonathan. The Last Judgment: Jonathan Argyll, British art dealer and sleuth, delivers an obscure 18th-century painting to a Parisian dealer's client in Rome. The client, however, ends up dead. Argyll and his now fiancée, Flavia de Stefano, (they finally got their signals alighned) pursue the murderer as well as information about the painting. Giotto's Hand: General Bottando of Rome's Art Theft Squad believes a lone criminal mastermind-dubbed "Giotto" has been stealing priceless Renaissance art for over 30 years. Bottando's right hand, the beautiful Flavia di Stefano, quickly locates a possible culprit but he's in England. Flavia relies on her fiancé, English art dealer Jonathan Argyll, to track the man down, which of course leads to all manner of disasters. Death and Restoration: General Bottando has received a tip about a planned raid at a nearby monastery. He's relying on his colleague Flavia di Stefano and her art-expert fiancé, Jonathan Argyll, to thwart the plot, but both are beyond baffled. The Immaculate Deception: For newlywed and Italian art theft squad head Flavia di Stefano, the honeymoon is over when a painting, borrowed from the Louvre and en route to a celebratory exhibition, is stolen. 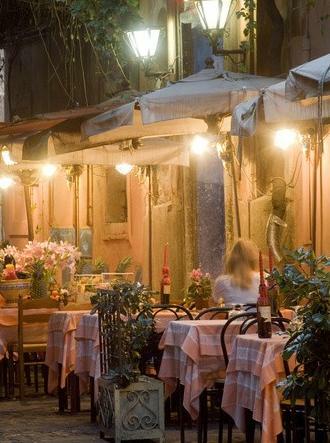 Across town, her husband, art historian Jonathan Argyll, begins an investigation of his own, tracing the past of a small Renaissance painting -- an Immaculate Conception -- owned by Flavia's mentor, retired general Taddeo Bottando. 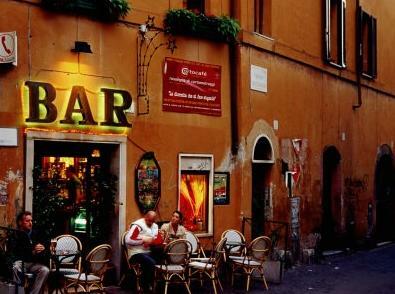 Here is a 3 minute video postcard of Rome, the setting for all of the books in whole or in part. The books are available in various formats including paperback, e-book, and audio-book. Here are the versions of The Raphael Affair at Amazon.com.